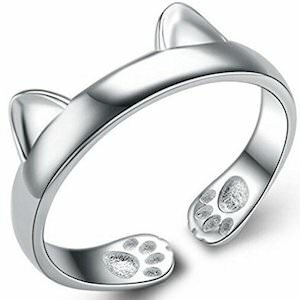 If you like fun jewelry then you should check out this cute cat adjustable ring. The ring is open on the bottom and that makes it possible to adjust the size. The cat ring is made from 925 sterling silver and comes in a gift box so that you can surpise a cat lady with some amazing jewelry. The ring has the ears of the cat on top and they stick up a bit and to the open end you can see the paws of he cat and you can find bot the bottom and the top of the cats paws. 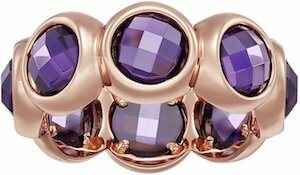 If you are looking for a special piece of jewelry then this amethyst eternity ring is what you want. The ring shows little pods with an Amethyst looking stone inside it (made from Cubic Zirconia) and the ring itself is made from gold plated sterling silver. And the pods with stones go all around your finger making an eternity ring as it never seems to end. You can get this ring in different women’s ring sizes and it comes in a nice gift box making it the perfect present for yourself or a loved one. This women’s ring is something different and that makes it an amazing gift for yourself or that special lady in your life. The gold plated ring sprouts out from the back in tree strands that end in a glass crystal in a different color so that you have the crystals shining in the front while it is old securely together in the back. This women’s jewelry can be adjusted in size to make it fit perfect for your fingers. Like any good jewelry also this women’s ring comes in a gift box to make the surprise even bigger. This ring made by Edward Mirell is just stunning. And this women’s ring comes in a gift box to making it a nice present for a special someone. Get your Titanium Ring With Purple Gemstone for $166.95 and Free Shipping. This ring is something special. 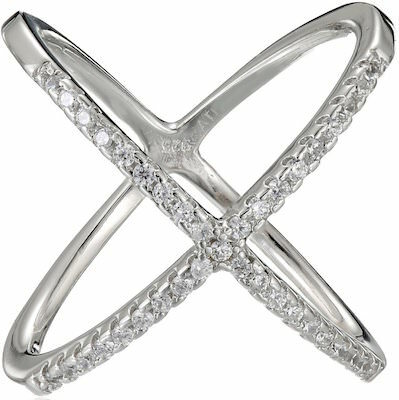 The ring is more like two rings stuck together so when you wear it on your finger you feel see a cross shape and this top is covered in cubic zirconia stones to give it the sparkle you are looking for. The stackable ring is made from sterling silver and surely a real special piece of jewelry that would be a great addition to your collection. And men this ring makes the perfect present to. You can get his ring in many different ring sizes for the perfect fit on your finger. 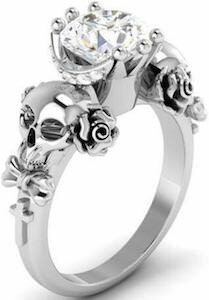 Looking for a ring that looks stunning and is different? 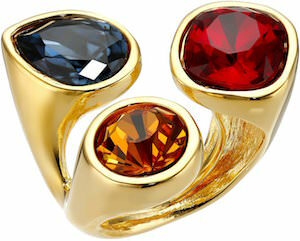 How about this gold ring that even has a real Swarovski crystal on it. 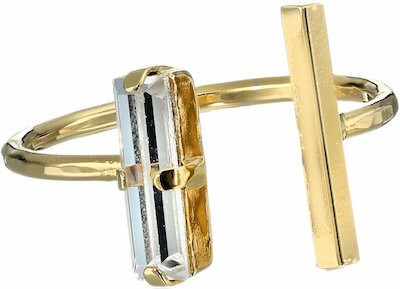 The ring design is fun with a round with and opening and the opening has a bar on each side one side is just gold and the other side is the Swarovski crystal in a gold clasp. Because the ring is open you can adjust it a little bit in size for that perfect fit around you finger. This ring says love and that makes this the perfect present for a loved one. Girlfriend, mom or just someone special they all will love this amazing looking jewelry. The ring has two entangled hearts on it and they have crystals inlays to give it that little bit of extra bling. 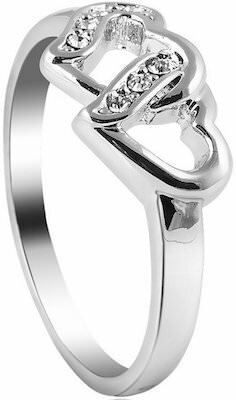 The hearts rings is white gold plated and comes in a gift box. 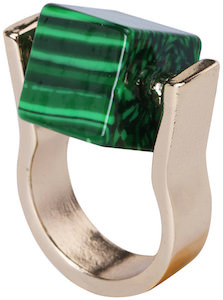 Yes this ring can be your next favorite finger candy. 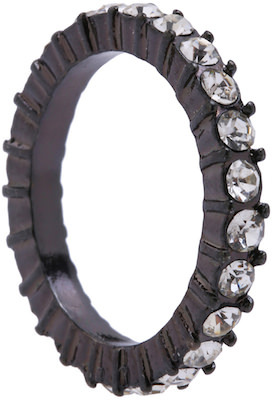 The ring is black and has many diamond like stones in it to gives it a spectacular look. Just imagine instead of a gold or silver ring now you can have one that is black and that surely stands out and the diamonds sparkle in the light to add to the amazing presentation on this finger jewelry. Jewelry is a great way to be different and if you look at this run you know that it will be different from most jewelry you see. This ring for one is not round but still fits nice around you finger and in the middle you find a big green pendant that is square and can turn. So yes this piece of jewellery is different and look great just find the outfit to match it with and you are ready to show the world this amazing ring.